New government, new policies: But can India deliver? Fresh from winning more votes than any other politician in world history, Narendra Modi has a strong mandate to transform India. Whilst expectations and the stakes are sky-high, the new prime minister’s first 12 months suggest that he will seek to govern in a way that encourages economic growth, job creation and better infrastructure. Can Modi turn his mantras – “less government and more governance” and “no red tape, only red carpet” in to action ? The outcome will be crucial for voters, the business community and India’s place on the world stage. +91 Europe is proud to present the most significant India Summit of 2015, to take stock of how the new government, its policies, and different sectors of India’s economy are performing. We will discuss what it will take for the economy to hit top gear again, and how the UK, Europe and America can benefit. Can Narendra Modi transform India ? What will it take for the economy to hit top gear again ? How can the UK and Europe develop an enhanced relationship with India ? What can India contribute to a new world order ? Which international retailers are most successful in India and why ? What are India’s immediate education needs ? Which educational technologies could help improve educational outcomes ? How can India best use technology to reduce inequality in healthcare provision ? What are the competitive strengths of Indian companies ? British India cultural exchange – where next ? Does the youth of India look to UK or USA for cultural compass ? In the UK to what extent has Indian culture diffused beyond the Indian diaspora ? Are there cultural differences in the appreciation of luxury ? Is India the next leg of LVMH expansion ? 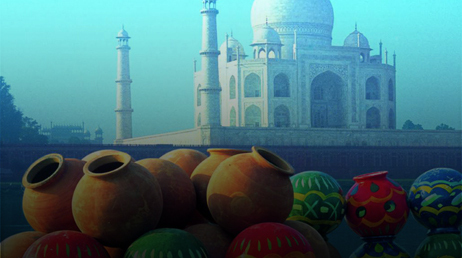 What has LVMH learnt in other high growth markets that can be applied to India ? Anand P. Raman is an Editor at Large at the Harvard Business Review Group, based in Boston. In addition to his responsibilities as a senior editor, which included overseeing The Globe section between 2010 and 2014, he helps manage HBR Group’s globalization efforts and oversees its dozenplus global editions. An economist by training and a management journalist by profession, Anand’s areas of interest include strategy, especially globalization strategy; manufacturing, quality, and supply chain management; family business; innovation, especially reverse innovation; and the history and future of management ideas. In terms of geography, his focus is on the BRICS and CIVET nations. Anand has been a business journalist for 30 years, and has headed newspapers, business magazines, and Web-based media operations. In another life, Anand was the Editor of BUSINESS TODAY, India’s leading business magazine, for a decade, and later, the COO of a dotcom in the media industry, India Today Group Online. In 1992, he received India’s Sanskriti Award for Outstanding Contribution to Journalism. 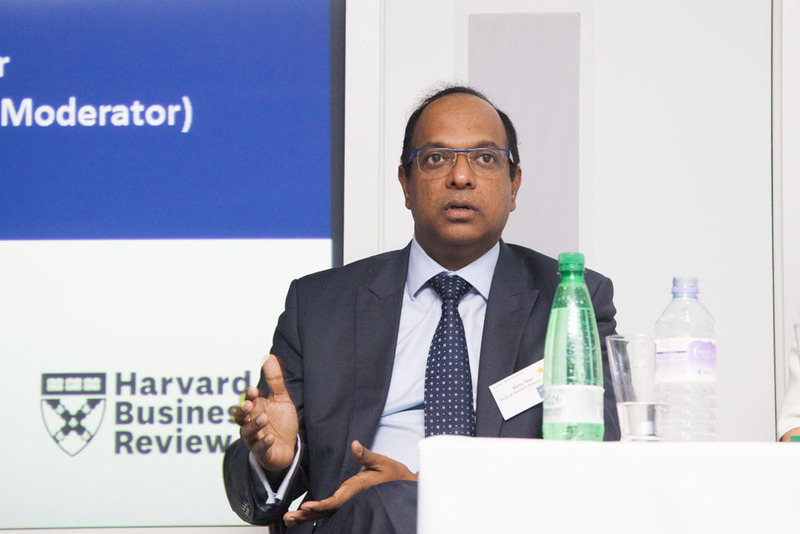 An alumnus of Harvard Business School, Anand joined the Harvard Business Review in July 2001. At the Review, he has helped create a section on globalization, new product concepts, collections of articles on globalization, supply chain management, sales, and China, and so on. Anand has so far edited five McKinsey Award-winning articles. 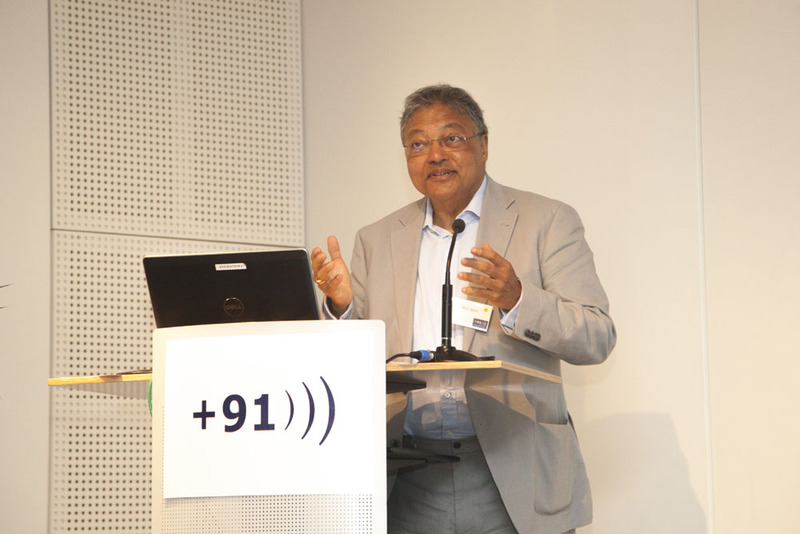 Anand spearheaded HBP’s entry into South Asia and helped develop a globalization strategy, which led to the creation of its first overseas subsidiary. He is a member of the WEF’s Global Agenda Council on Emerging Multinationals. Anand has presented papers at the annual meetings of the Strategic Management Society and the Society for Operations & Production Management, and has spoken at numerous conferences, particularly WEF events. He has co-authored HBR articles (such as Don’t Integrate Your Acquisitions, Partner with Them), edited a HBR Press book (Conquering the Chaos, May 2013), and a co-authored paper on China’s cross-border M&A was published in The Competitive Advantage of Emerging Market Multinationals (Cambridge University Press, 2013). Anand lives in Cambridge, MA, with his wife, Manjari, who works at Harvard Business School. 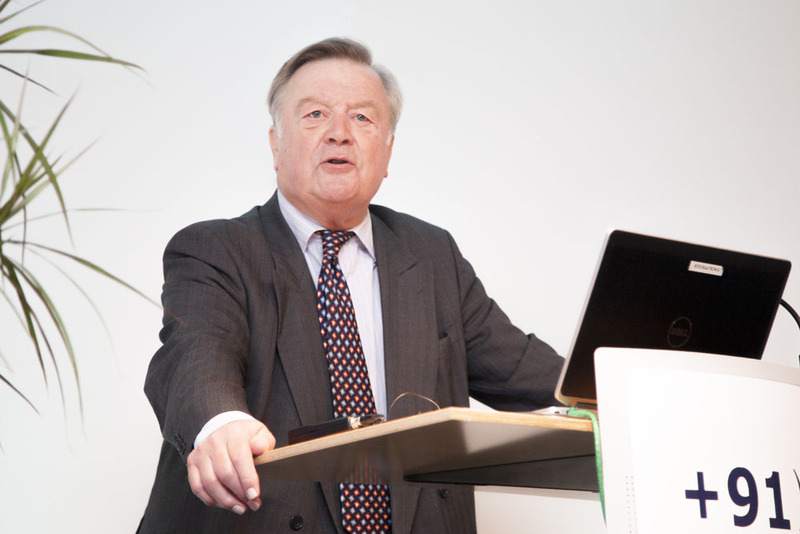 Rt Hon Kenneth Clarke CH QC MP has been the Member of Parliament for Rushcliffe since 1970. He held several Ministerial offices in the Governments of Margaret Thatcher and John Major – as Secretary of State for Health, Secretary of State for Education and Science, Home Secretary and Chancellor of the Exchequer. During a period in opposition he combined his duties as an MP with a variety of business appointments and chaired the Conservative’s Democracy Task Force and as Shadow Secretary of State for Business, Enterprise and Regulatory Reform. On the Conservative’s return to Government in 2010 he served as Lord Chancellor and Secretary of State for Justice. In 2014 he became Minister without Portfolio, working to develop key trade relationships on the Prime Minister’s behalf. He had an advisory brief on the economy and also sat on the National Security Council. He returned to the back benches in July 2014. Venu Nair is Managing Director for Marks & Spencer Reliance India, responsible for M&S’s 47 stores in India and growing its store presence across the country. His role includes bringing the best of M&S to customers across India offering high quality, stylish and innovative fashion with high levels of customer service. Venu joined Marks & Spencer in 2004 and was responsible for setting up M&S’s Regional Sourcing Offices in South Asia where he grew sourcing from South Asian suppliers to over 60%. Prior to his current role Venu held dual responsibility as M&S’ Head of Sourcing for South Asia and Director of Buying Operations for M&S stores in India. Venu completed his MBA from SP Jain Institute of Management and Research (Bombay University) and engineering degree from National Institute of Technology, Calicut. Venu has over seventeen years of experience in the retail and clothing industry. He has experience across South Asia and Europe. David Loyd is a director at IMM. He has 20 years in investment banking with Dresdner Kleinwort and was global head of strategic markets, covering Asia, India, Latin America, Russia, Central Europe and South Africa. David was Chairman of the India Group of City UK for many years. 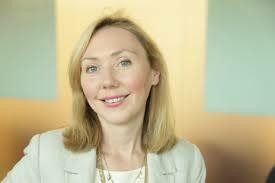 Rachel Barton leads Accenture’s Customer Strategy practice and specialises in helping clients develop their digital, marketing, sales and service strategies to become market leaders. Working cross-industry, Rachel works with the boards of major retailers, banks and energy companies to bring the voice of today’s customer and latest innovation into their thinking. Rachel has featured in the Sunday Times’ 35 under 35 list, First Women Awards and Red Magazine’s Women of the Year and is a regular contributor to the media. 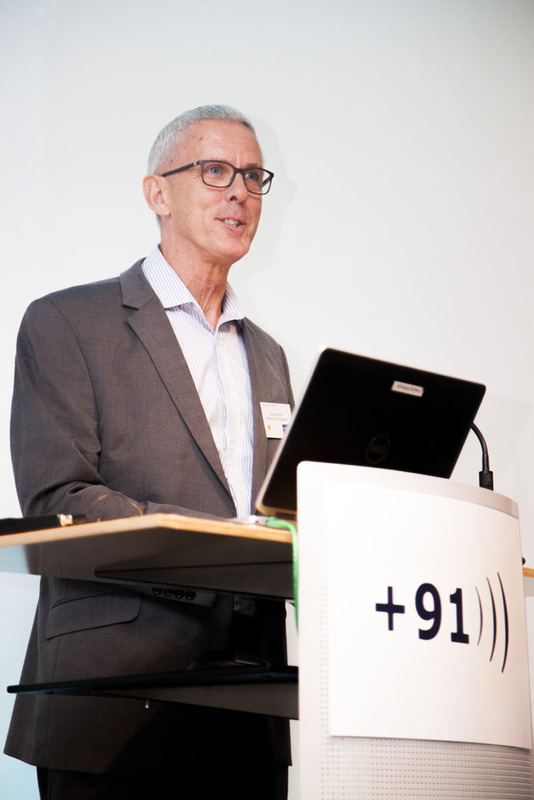 Richard Cawdell is Managing Director of AcceleratorIndia, where he works with technology intensive businesses in India and Europe. He has experience of technology enabled innovation in sectors ranging from healthcare, through media, retail, financial services, manufacturing and culture, coupled with broad international business background in consultancy, telecommunications, and information systems. 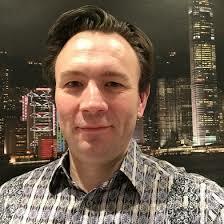 Richard has an extensive background in implementation and execution, including addressing systems, infrastructure, technology, security and IS governance issues in financial services in the City of London, firstly as Group I.T. Director of Exco (now Intercapital), and latterly responsible for technology within the Rothschild merchant bank. His early career included market and product focused roles in high growth technology companies as well as consideration of the long term potential of communications technologies for BT. He was exposed to the brand led cultures of Grand Metropolitan (now Diageo) and Allied Signal, and the early development of technology R&D policy for broadband communications technologies and applications within the European Commission. Richard has maintained throughout a focus on execution, innovation, and the stimulation and management of change. Education World University Rankings. 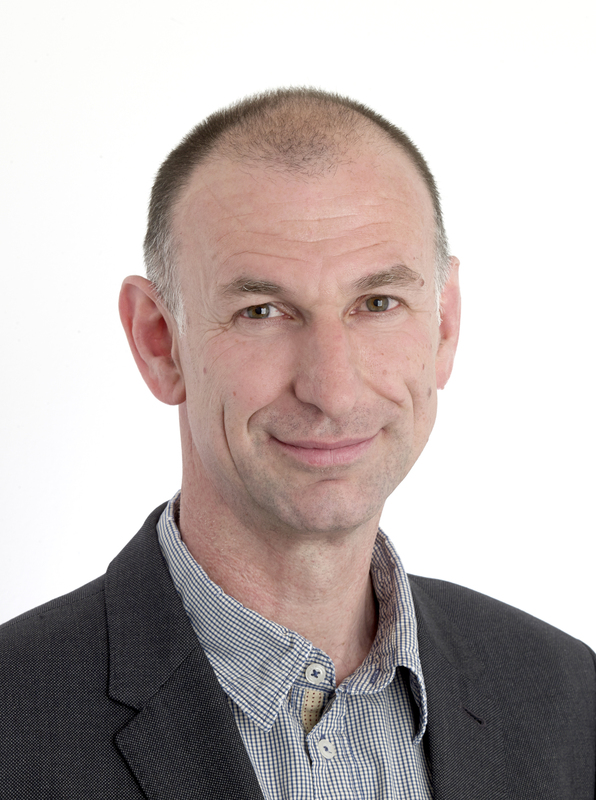 Phil has been with the magazine since 1996, as reporter, chief reporter, news editor and deputy editor. newspaper and Private Eye magazine in 2007.
others. Phil contributes regularly on global higher education for leading newspapers and broadcasters. 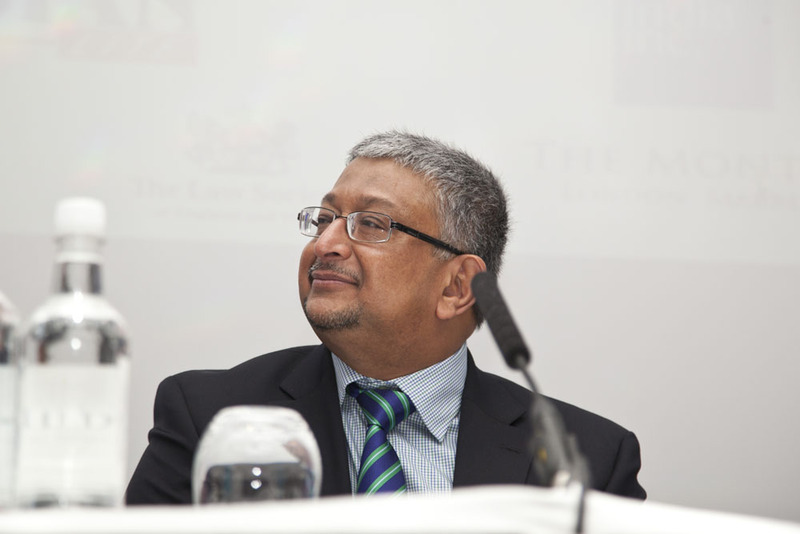 He was the co-chair of the 2013 World Academic Summit in Singapore and also chaired the 2010 conference, “Building a World Class University” at London’s Royal Institution. (Pearson) and for Rankings and Accountability in Higher Education (Unesco). As Chief Business Officer at FutureLearn, Howard Bell is responsible for all areas of the social learning platform’s long-term growth – across global learner acquisition, commercial development and partnerships with world-renowned academic institutions, business and professional organisations, and cultural bodies. Reporting to FutureLearn Chief Executive Simon Nelson, Howard leads a team of Business Development, Content Creation and Marketing professionals, working to establish FutureLearn as the leading global provider of free online courses. 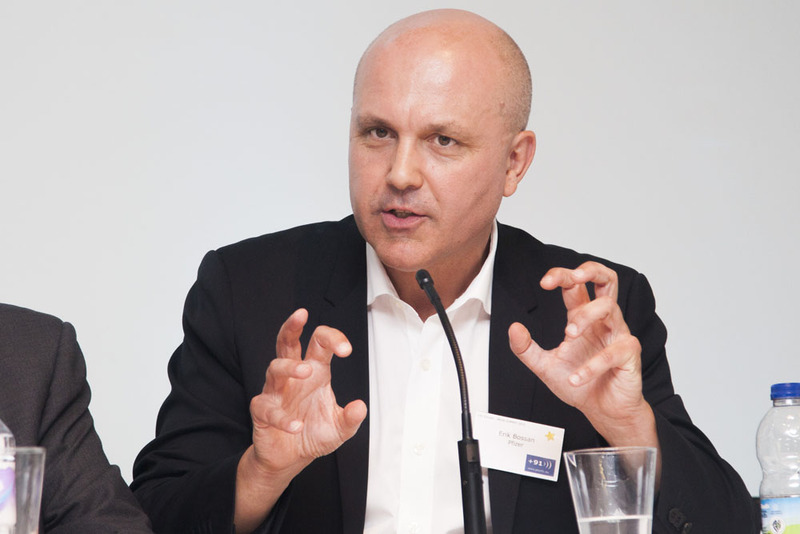 Since joining FutureLearn in March 2013, Howard has also assumed management responsibility for FutureLearn’s strategic partnership with the British Council. Howard has more than 20 years’ experience of spearheading the commercial development of internet-based businesses, having held senior management positions at PayPal Europe, where he was as founding member, JustGiving, Barclaycard Payments and Content Technology, which sold for £650m during his tenure as Business Development Director. More recently, Howard has become heavily involved in education technology, and is motivated by using smart technology to make a positive social impact. Alongside his duties at FutureLearn, he serves as a Non-Executive Director at Firefly, a UK-based digital learning platform for secondary schools, where he provides strategic advice on the company’s international expansion. Howard holds a degree in Physics from Imperial College, London, and an MBA from the Cranfield School of Management. A keen sportsman, Howard enjoys on- and off-road cycling, and in 2014 successfully completed the London Marathon. He also enjoys jazz, travel and international history. He lives in London with his wife and their two outspoken daughters. 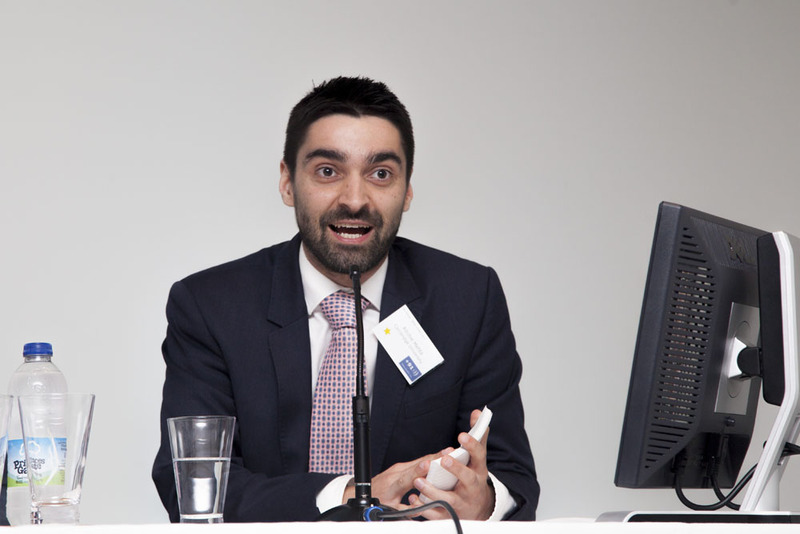 Ritchie Mehta is a specialist education consultant and business content author, that works with institutions such as the Cambridge Judge Business School and Pearson Plc. Currently, a Fellow of the Cambridge Judge Business School and Business Tutor at Pearson College, where he develops a variety of online and hybrid courses in the areas of marketing and strategy. Ritchie is also Managing Director of The Marketing Lounge Partnership CRM, an engagement agency that works with clients across the Education, Financial Services and Automotive sectors providing solutions to help retain their customers. Ritchie has worked for a number of global institutions including HSBC, RBS and Direct Line Group in the areas of branding and customer management. He sits on the Editorial Board of Palgrave McMillan’s Journal of Financial Services Marketing where he critiques and advises the journal on academic paper submissions. His academic career has spanned a multitude of business-related disciplines having earned a Masters degree in Strategy and Innovation from the Cambridge Judge Business School, a Master of Arts in Business from Edinburgh University Business School and a Bachelors of Science in Financial Markets from Manchester Business School. 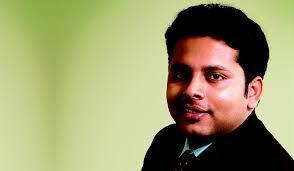 He is currently completing his MBA from Warwick Business School. Hamid Yunis is a partner in the Corporate, Commercial & Projects practice group and has extensive experience in the successful structuring and negotiation of major projects and project financed transactions both in a domestic UK context and also internationally. Hamid trained as a corporate finance lawyer and his work experience includes acting on a number of high value and complex corporate and infrastructure transactions. Hamid has sector experience in a diverse range of industries which include healthcare, general infrastructure, utilities (particularly waste, water and waste water) and transportation. Included in these transactions were the successful conclusion of various pathfinder structures and the implementation of new and innovative financing proposals including those with a capital markets solution. Hamid’s clients range from sponsors (contractors and FM providers), financiers (equity, debt and capital markets) and government or sovereign bodies. Hamid leads a number of teams and initiatives within Taylor Wessing. These include: Head of the cross jurisdictional Healthcare (Infrastructure and Services) group; Hamid is recommended by Legal 500 for his “excellent knowledge” and by Chambers, he is a “respected name” and is considered to be a “nice guy to work with”. Hamid is regularly listed in Legal Business as an “expert” in his field. 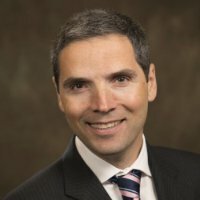 Javier Tordable has extensive experience in the international financial services industry having worked with a number of exchanges, trading & IT companies, including Deutsche Borse, Eurex, SendeCO2, CBOT, PAVE MTF, MTS Group (London Stock Exchange Group) and Cinnober throughout his 18 year career. Also, he is a well experienced and passionate entrepreneur focusing on advisory and/or investment activities in SMEs and internet Start ups, mostly FinTech. Currently he is the Global Head for Business Development for India and the Bombay Stock Exchange (BSE) Partnership working together with BSE management to promote India and BSE throughout the world. 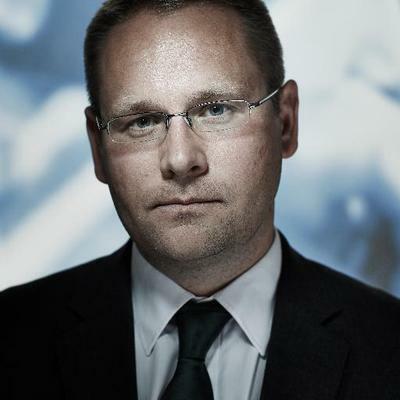 Previously he was CEO of Cinnober based in Stockholm one of the leading IT vendors of trading and clearing platforms. Prior to that, Javier was leading the efforts of establishing PAVE, Spain’s first MTF to increase liquidity in Spanish equities, with plans to expand in whole Iberia and Latin America. 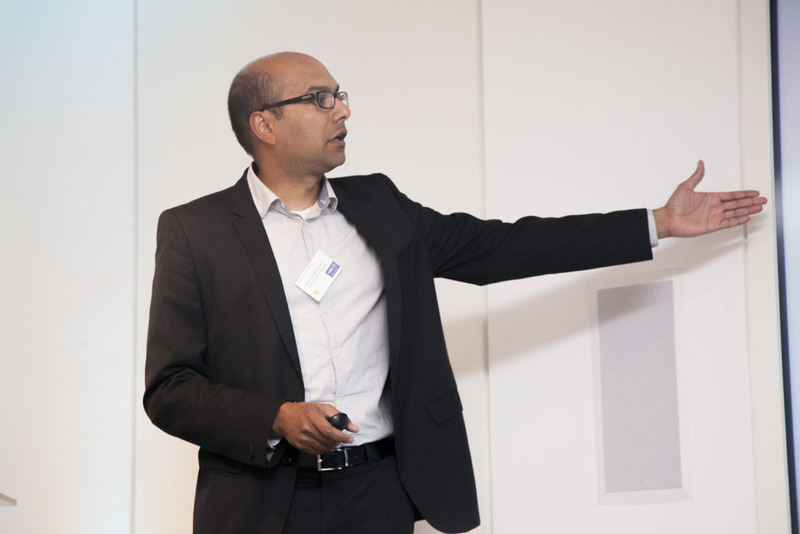 Before PAVE, Javier was almost 4 years based in Frankfurt and London as a Senior advisor to Deutsche Börse and Eurex Boards for new products and market exchanges acquisitions. In 2005, Javier established the leading Spanish and Mediterranean CO2 emissions exchange, SENDECO2, which also now operates in Italy and Portugal. Javier’s experience in exchange-related start-ups began in 2002 when he was the founding CEO of MTS Spain, currently the leading Spanish Government Debt market, owned by MTS, Ltd which is now part of the London Stock Exchange Group. Previously, in 2000 Javier worked with Eurex as head of Marketing and Sales US where he was responsible for the Eurex and CBOT partnership alliance, based in Chicago. Javier also worked with Eurex in Frankfurt in 1999 to roll out the first Eurex derivatives remote screens in Madrid, Lisbon and Athens. Javier achieved an Executive MBA in 2004, from IE Business School. He also has a MoSc.in Banking & Finance from UPF and an Economics bachelor’s degree from the Barcelona University. He also achieved in 2012 the certificate of Global CEO Program at Wharton University, IESE & CEIBS Business Schools. 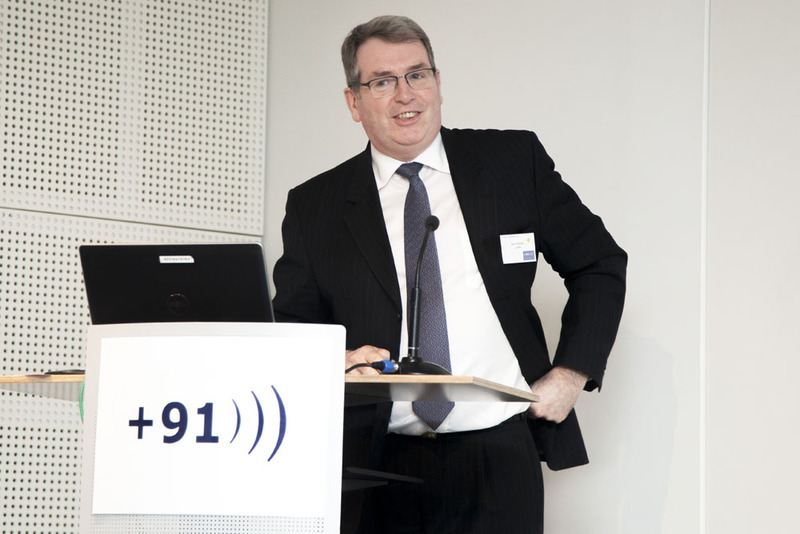 Ian Hardie is Global Group Training and European HR Director for LVMH, Moet Hennessy Louis Vuitton. He has led Executive Development and Learning at LVMH for the last 8 years. His work has included designing and running LVMH House Forums in London, New York, Hong Kong, Singapore and Tokyo, establishing the Asia Pacific Development Centre in Singapore, and representing LVMH in the UK. Ian was previously Associate Dean of Executive Education at London Business School and served on the School’s Executive Management Committee. He was responsible for all open, custom and consortia programmes and was at the School for 10 years until 2007. Ian started his career in the UK with the Dowty Group working in the major manufacturing and defence industry sectors. He combined this initial period of work with his management studies. Ian left Dowty to further his studies, taking a Business Management degree at Aston University in Birmingham which included an internship with Ferranti Industries in Scotland. Ian joined ICL the UK based Computer Systems Company and focused on major account sales in the Defence sector, his work covered both UK and overseas. After five years with ICL Ian took a career break, travelling with his wife through Asia, Australia, New Zealand and the United States. He returned to join ASE, a UK based IT consulting firm, as Business Development Director. Ian joined the University of North London as Commercial Director of the Business School in 1994, where he focused on running a commercial training unit and major projects.